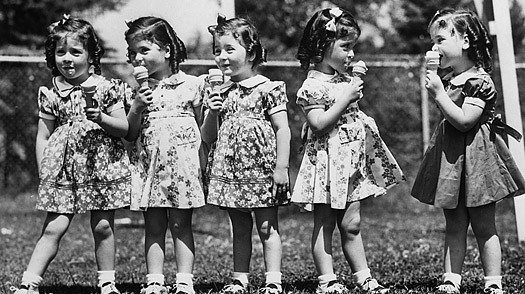 at one point the Dionne Quintuplets were considered a more popular tourist attraction than Niagara Falls. dollars and a good OB/GYN. and triplets as a proportion of total births has increased several fold. It’s almost as if no one is impressed by them any more. Two kids Blah. easier, yet the dangers are very real for both mothers and children alike. well-nigh impossible. And the facts of Nadya Suleman’s conception  she had six embryos implanted in her womb, two of which split into twins  are troubling.